The upkeep and maintenance of a commercial property is a big job. When you need help with your commercial property maintenance in the Sydney area, a skilled and experienced handyman will take care of all your needs without having to call in various tradespeople. At Skill Pro Handyman, we have technicians who are qualified and adept in a wide range of tasks that are required to maintain and improve any commercial property. Our fully licensed handymen are also fully insured and trained in OH & S legislation to ensure safe on-site work. Presenting a tidy and well-maintained property speaks volumes about how you run your business, yet not everyone has the time to undertake the various tasks themselves. With our reliable and trusted team of handymen, we will maintain your commercial property as if it were our own. Our high standards and use of quality materials and tools ensure that you will be satisfied with any work carried out within your property. Our technicians have a full skill set and are experienced in services that include general repairs, adjusting doors, fixing and replacing furniture, creating pigeon holes, air conditioning settings, electrical and lighting problems and many more. We will accommodate you with an efficient and professional service whether you require a big revamp or a small repair. We have been doing commercial property maintenance in Parramatta and wider Sydney area for over 15 years. Our services fill the need for an inclusive company that is capable of carrying out multiple tasks on a property without the need for separate tradespeople. With our technicians, you can cover your requirements for carpentry, repair, installation, plumbing and maintenance all with one phone call. As your business grows and evolves so can the need to rearrange your office layout. While doing general repairs, we will also accommodate your needs for new office partitioning, repair damage and while we are there, complete the project with our experience as commercial painters in Sydney. Our qualified handymen can patch, paint, and hang up wall fixtures such as pictures and whiteboards, and work efficiently to fulfil the job requirements. Without compromising on quality, we save our clients time, money and resources through our ability to complete a job from start to finish. With skills that also cover plumbing and electrical, you can be assured that your remodelling or repair job will also be to a professional and compliant standard. 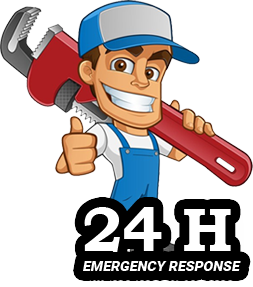 We understand the need to provide as little interruption to your workplace as possible so for all your emergency repair needs contact us today. Alternatively, whether it is an extensive remodel, small repair or you need commercial painters in Parramatta, our friendly and courteous handymen will approach any job with superior customer service and professional ability. We offer a flat-rate competitive price for our services with no charge for travel costs.